If you want a more cool, unique handheld wallet, Cascade Wallet might satisfy you. Cascade Wallet is customizable, and is equipped with a spring out card ejection function. 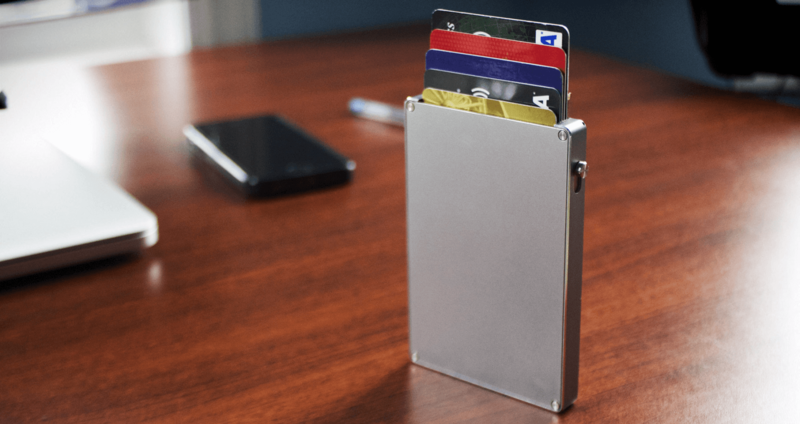 To look at the design, Cascade Wallet uses a one-piece construction made out of 6060 aircraft grade aluminum which is relatively strong, and durable. There are many colors for you to choose from. Cascade Wallet has many features such as RFID secure protection, easy one push card ejection, and money clip. Cascade Wallet can ensure that your credit card, debit card, personal identification is not subject to wireless identity and financial theft. Anodized aluminum products have a special strength properties which prevents physical damage to the wallet card. At the same time such materials can also be used as a “firewall” to prevent unauthorized access and in turn, protect your personal and financial information. Cascade Wallet looks like a removable hard drive, but it is clearly more multidimensional credit card Wallet.